WiSys was established in 2000 and is an independent, nonprofit supporting organization for the UW System. As the official designated technology transfer office for the UW System Comprehensive Campuses, WiSys advances scientific research throughout the state by patenting technologies developed out of the universities and licensing these inventions to companies capable of developing them to benefit Wisconsin and beyond. The strong partnership between WiSys and the UW System helps the UW campuses fulfill their roles as twenty-first century leaders in research, discovery and innovation. WiSys works hand-in-hand with inventors, researchers and students to facilitate cutting-edge research programs, identify, protect, develop and commercialize discoveries emanating from the research base as well as foster a spirit of innovative and entrepreneurial thinking on the campuses it serves. The ongoing, innovative research taking place throughout our UW Comprehensive Campuses is a tribute to the scientific expertise and creativity of our faculty, staff and students. WiSys is playing a pivotal role in ensuring such innovative research is translated into marketable products and services for the benefit of the UW System and society as a whole. First attributed to UW President Charles Van Hise in 1904, the Wisconsin Idea is the principle that education should influence and improve people's lives beyond the university classroom. For more than 100 years, this idea has guided the university's work. Read more about the Wisconsin Idea and its history. The University of Wisconsin System is one of the largest systems of public higher education in the country, educating approximately 180,000 students each year, employing more than 39,000 faculty and staff and serving more than one million citizens through statewide extension programs. Supported by an annual budget of $6B, the UW System comprises two doctoral campuses (Madison and Milwaukee), eleven Comprehensive Campuses (Eau Claire, Green Bay, La Crosse, Oshkosh, Parkside, Platteville, River Falls, Stevens Point, Stout, Superior and Whitewater), thirteen branch campuses, and a statewide Extension with offices located across each of the 72 counties. 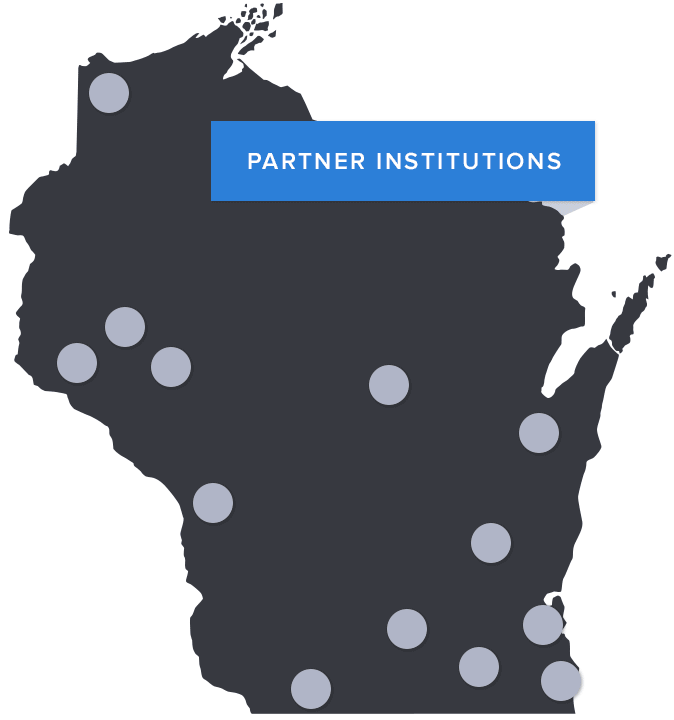 Together, these institutions contribute greatly to the state’s growing ‘knowledge economy’ and are a tremendous academic and cultural resource for Wisconsin, the nation, and the world, contributing $15+ billion annually to the economy. WiSys' staff is comprised of business professionals with diverse areas of expertise across a range of disciplines. Interested in a career in technology transfer? Find out more about the opportunities currently available at WiSys. In this section you can find news and information about WiSys, our publications as well as other media assets. In order to enhance the connectivity with the campuses it serves, WiSys has introduced two flagship programs for outreach. These include the Regional Associates and Student Ambassador programs.